Finding the best local server based web hosting service provider in Australia depends on various important factors. If you want to target the audience in Australia, then having a server location in Australia can provide you multiple benefits. If you have no idea of the parameters that you will have to set for the selection of the right web hosting service offers in Australia, then you should check out the following important factors. Let’s have a look at the things that you must look for when selecting web hosting service providers in Sydney, Australia. First of all, you must focus on the server uptime. You do not want your website to crash, and you certainly don’t want a decrease in the conversions. If you are looking to improve things for your site, then you must focus on server uptime and make sure that they give you 99.99% server uptime guarantee. One of the most significant thing that you should always focus on while selecting web hosting service provider in Australia is regular backups. Make sure that the hosting provider is providing you daily backups of your website, so you do not face any issues in restoring your site. The next thing that you need to look for is unlimited domain hosting. Make sure that there is no limitation on registering domains within one hosting account. Whenever you are selecting web hosting service provider in Australia, you must look for unlimited domain hosting. Last but not the least. Make sure that you are selecting a web hosting service provider in Australia that will provide you with an easy to use interface. They should have a user-friendly cPanel that will allow you to navigate through the admin area without facing any issues. 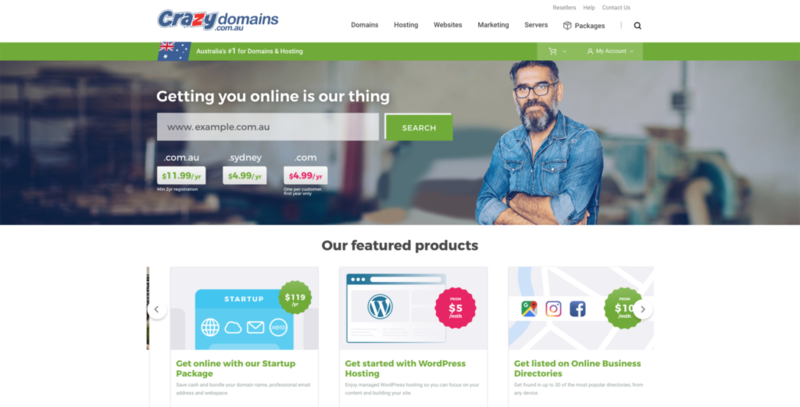 Here, we have a list of some best local web hosting service providers in Australia that you should check out when creating a new website. They provide top-notch 24/7 support and will help you anytime. They will give you more than 50GB storage for your website and email. You can also create unlimited email accounts as well for your business team. One of the most important benefits is the green hosting as they balance carbon release. Crazy Domains have excellent customer support and will help you until your issues are resolved. Crazy Domains have been using advanced technology, and they have high-performance servers. They can provide you with the best rates for web hosting service for your business website or a personal blog. They provider guaranteed 100% server uptime, so you are in good hands if you are worried about the server uptime. Hosting Australia provides unlimited bandwidth, so you do not have to worry about expanding things at your end. They have 24/7 technical support that will provide you with the best way to tackle every problem you face. 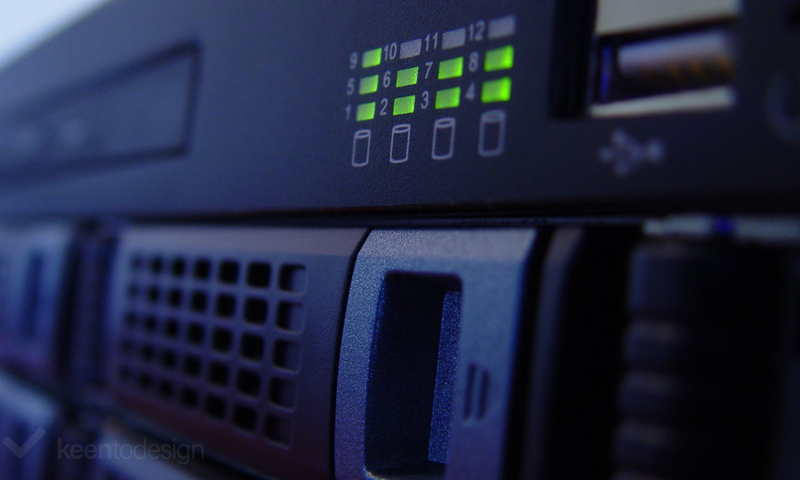 Ventra IP will offer you fast and secure web hosting service for your new project. You will get 24/7*365 technical support, and they will resolve your issues without any delay. They provide top-notch security and will help you secure your website from all the known threats and attacks. 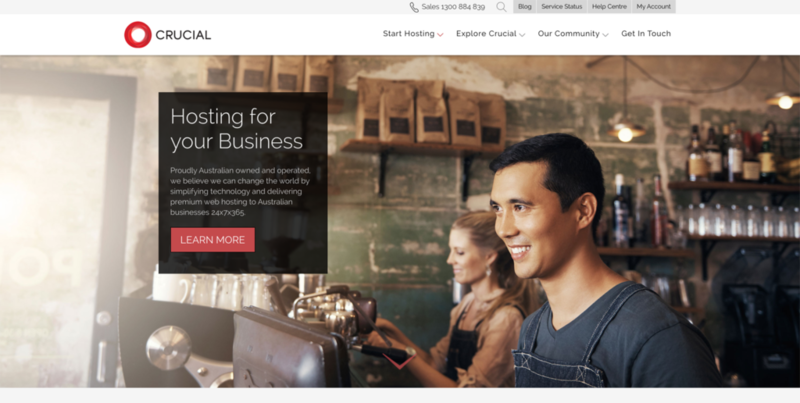 Digital Pacific will provide you a user-friendly interface, and it is the best platform for all the beginners who are registering their websites for the first time. Excellent and quality technical support and they will assist you in every way. They also offer partner programs that will allow you to resell web hosting and get into an affiliate program. You can get automated daily backups, and you do not even have to worry about taking backups of your websites. Go straight to your WordPress dashboard with zero clicks WordPress install service on WP Hosting. They will also provide you excellent support along with 24/7 server monitoring as well. It is highly scalable and secure for your upcoming WordPress project. They have been serving many customers, and they have been in the business for the last ten years with an excellent reputation. You can get dedicated, VPS, cloud, and Colocation hosting service at the best and affordable rates. They have excellent network performance and gives you 100% server uptime. They will provide you all the essential server management including monitoring and user-friendly interface.